Watching carbs while camping is a two edged sword; Steak, pork chops, chicken can be grilled and enjoyed to your heart’s content. Same with sizzling bacon and eggs over the camp stove. On the other hand, burgers and hot dogs on a bun, chips, dips, and snack crackers are out. 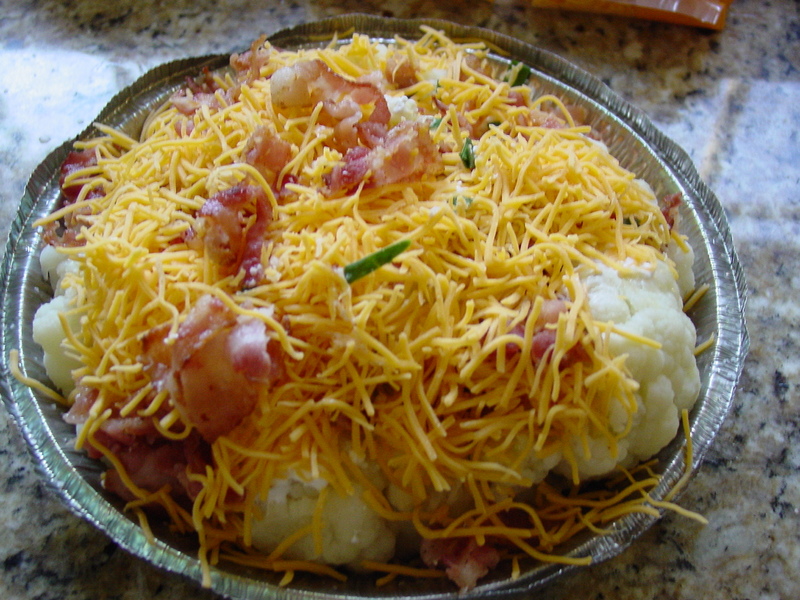 So are baked beans, potato salad, and most traditional side dishes. This week, I tried a new twist on a loaded baked potato and made it on the grill. I determined it would be a perfect camping side dish. 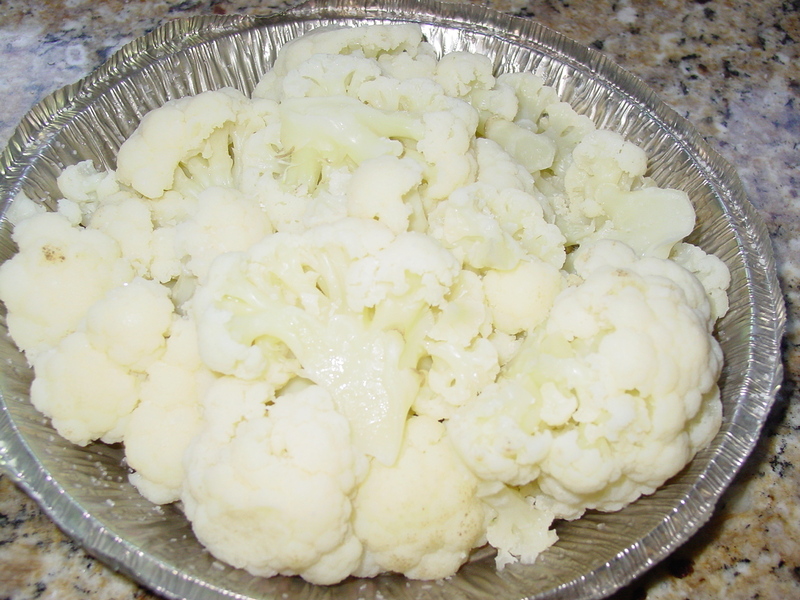 I started with a fresh head of cauliflower which I washed, cut into medium pieces, and steamed in the microwave for a few minutes. Next, I added a fourth of a cup of butter, cubed, and tossed until the cauliflower was coated, and placed it in an aluminum pie tin. 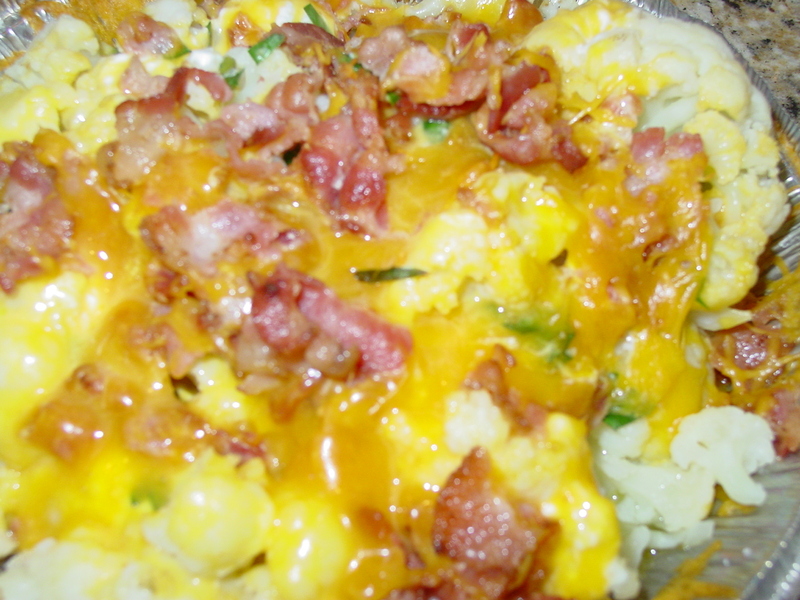 Then, I topped it with a cup of shredded cheddar, a cup of sour cream, 3 green onions (sliced), 6 pieces of bacon (fried, drained, and crumbled), salt and pepper to taste. I wrapped it in foil and grilled over indirect medium heat for about 30 minutes. Just long enough for all the goodness to melt together. Remove from the grill and let it rest on the picnic table until the remainder of your meal is done. Remove the foil and enjoy! This was every bit as good as a baked potato without the carbohydrates. Perfect for these fall like evening camping meals. This entry was tagged Baked potato, camping meals, Cauliflower, Cook, grilling, Hot dog, low carb grilling, Pork chop, Potato, side dish, Steak. Bookmark the permalink.